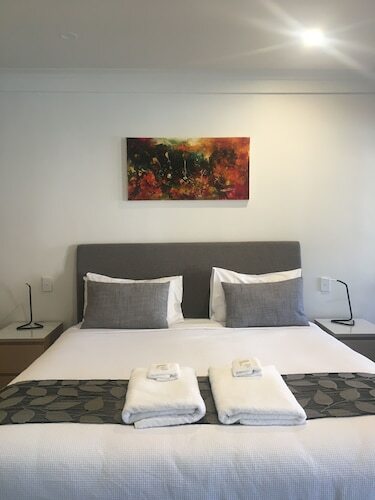 Situated in Strathalbyn, this motel is 6.8 mi (11 km) from Angas Plains Vineyards and within 25 mi (40 km) of Monarto Zoological Park and Onkaparinga River National Park. Woodstock Wines and Beresford Wines Tasting Pavillion are also within 25 mi (40 km). Strathalbyn Station is 14 minutes by foot. 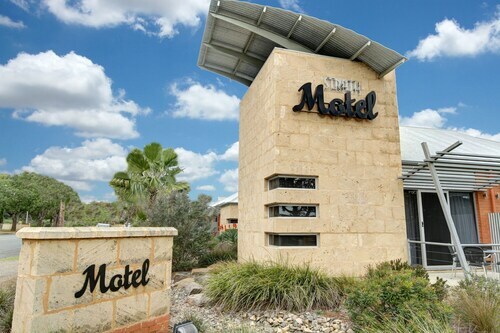 Situated in Strathalbyn, this hotel is 6.7 mi (10.8 km) from Angas Plains Vineyards and 9.9 mi (16 km) from The Winehouse. Monarto Zoological Park and Onkaparinga River National Park are also within 25 mi (40 km). Strathalbyn Station is only a 3-minute walk. 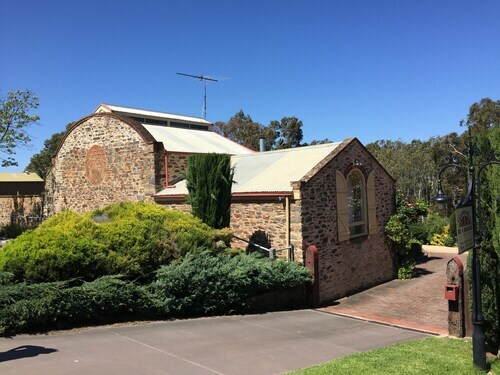 Situated in the historical district, this bed & breakfast is 6.3 mi (10.2 km) from Angas Plains Vineyards and within 25 mi (40 km) of Monarto Zoological Park and Onkaparinga River National Park. Goolwa Golf Course and Woodstock Wines are also within 25 mi (40 km). Strathalbyn Station is 5 minutes by foot. Strathalbyn is a fantastic place to visit, with a reasonable selection of hotels. There are 2 located less than 5 kilometres from the city centre. 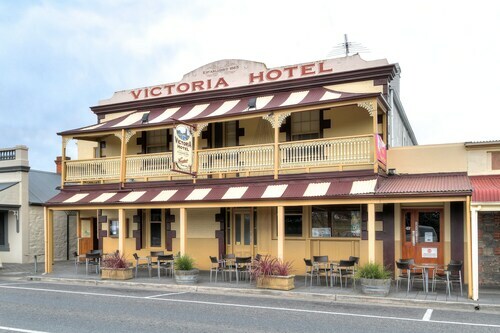 Book a room near all the action at the Strath Motel and Victoria Hotel - Strathalbyn. For some alternatives, try out the Seascape Retreat and the Cladich Pavilions. They are located 30 kilometres and 30 kilometres respectively from the center. Further alternatives are the Haus Studio Apartments, 25 kilometres away, and the Amble at Hahndorf, 25 kilometres. The close by cities of Murray Bridge and Murray Bridge East are worth checking out. Murray Bridge is 40 kilometres to the east of Strathalbyn, while Murray Bridge East is 45 kilometres to the east. Accommodations in Murray Bridge are the Balcony On Sixth Lodge and Oval Motel. The Murray Bridge Motor Inn and Bridgeport Hotel are some of the options in Murray Bridge East. Just because you're on holiday, doesn't mean you can't indulge in your passion for sport. You'll find Adelaide Oval to the northwest of Strathalbyn. The Adelaide Heritage Cottages & Apartments and the Buxton Manor are good options if you want to hit the hay nearby. Adelaide International Airport is the most convenient airport for flying into and leaving Strathalbyn and is 45 kilometres drive from the CBD. If you plan to stay nearby, try the Seawall Apartments or the Stamford Grand Adelaide. 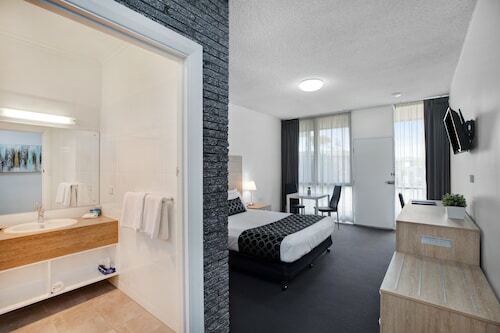 How Much is a Hotel Room in Strathalbyn? 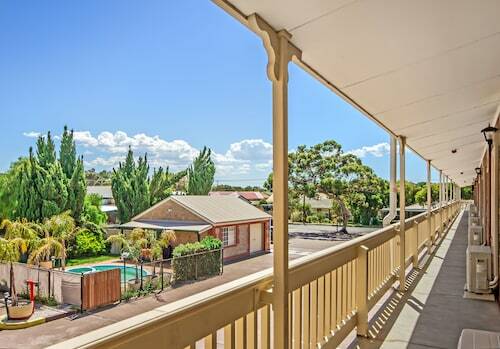 Hotels in Strathalbyn start at AU$68 per night. Prices and availability subject to change. Additional terms may apply. Great breakfast and friendly service. Nice and clean rooms.